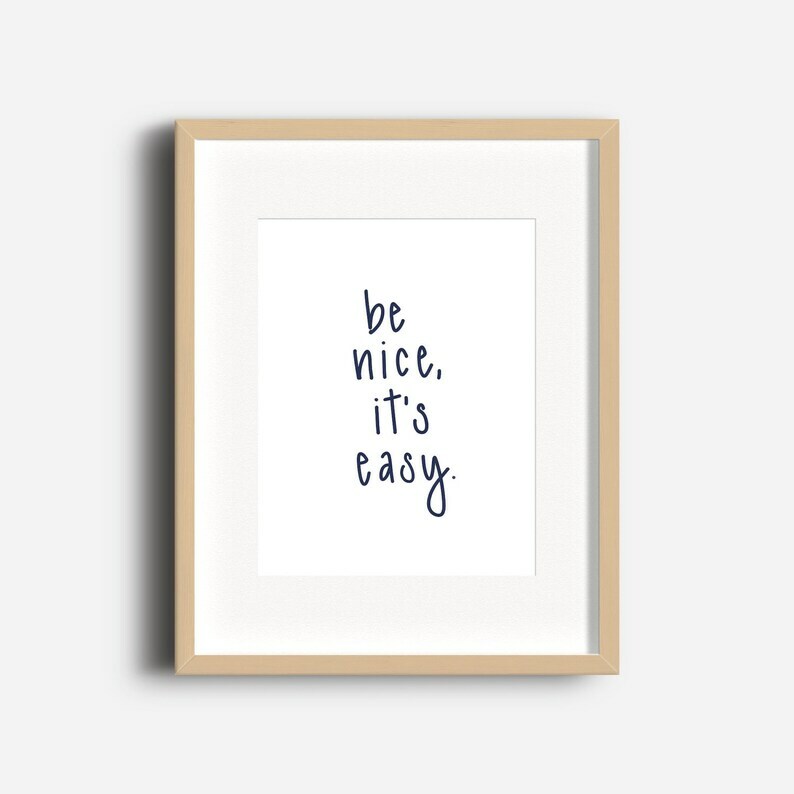 This hand lettered "be nice, it's easy" printable was designed for a playroom or family room. If you love this print and would like a custom color size, please message me before purchasing. I'll happy customize the color or size for an additional $5. Once you purchase, you will Esty will immediately send you a download link. Click the link and follow along to download and save. You will receive 2 print sizes, 5x7" and 8x10". Save to your computer and print your preferred size. You will not receive a physical print, this listing is for download only and does not include the frame. The mockup of the print in the frame is for visualization purposes only. This printable is for personal use only. You cannot redistribute the jpeg, you cannot use the print for commercial use, and you cannot resell the print or jpeg. Do not share the jpeg. If you love it and want to share it, please link back to this listing.